We have been accumulating a substantial amount of material in the Blog around the subject of Classic and Silver Flying Fifteens. The way that you can find it it is this…..
– Click on “Select a Category” and a long list will drop down. – there are a lot more than just one page full. At the bottom of the list, you will see a label saying “Older Posts”. Just click on that and you will be presented with the next set. Just keep going. One day, we would like to get the time to do something more structured – like a mini website based on all this material. Schuss”. 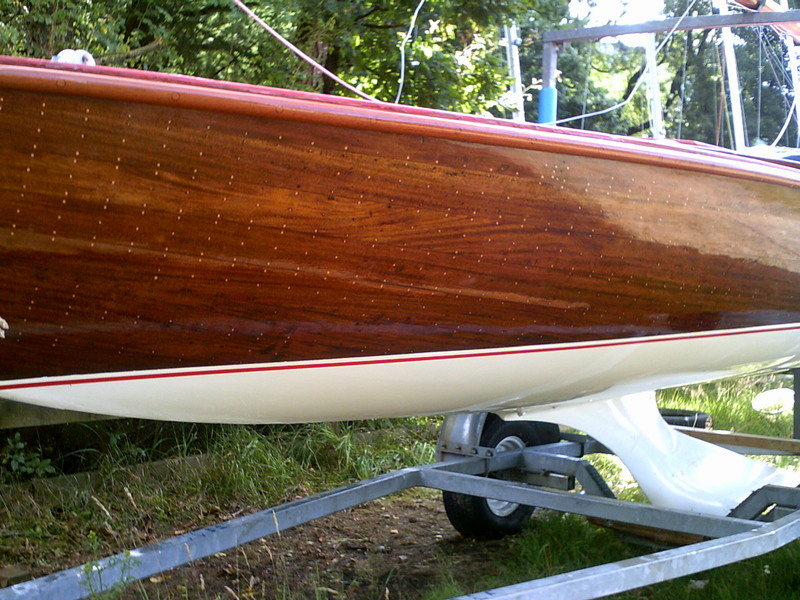 It had a cuddy and a balanced rudder, as well as a transom post to mount a small outboard motor for day sailing. 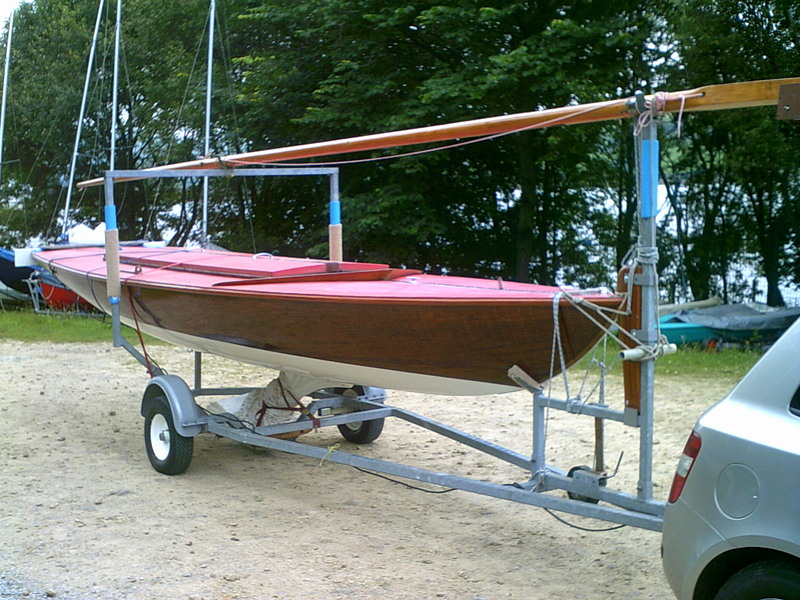 The boat was built by David Hinkley, and sails by the great Peter Cole. Schuss had a center cockpit bridge that supported a traveller and center boom sheeting. the bridge had one large winch in the center for the jib sheets. The vang was led to the center as well, and the traveler leads were led to each side of the deck so that you could pull on them or release them while still leaning out to balance the boat. The spinnaker sheets were led to blocks right close to the transom and from there, under the deck to re-appear on either side of the center bridge. The entire setup kept the deck clean and all leads easy to grab and easy to haul. The mast was stepped onto a small metal shoe, and the sole of the mast was a small screw jack adjusted by a small wheel for mechanical advantage. Great boat, won a lot of races.